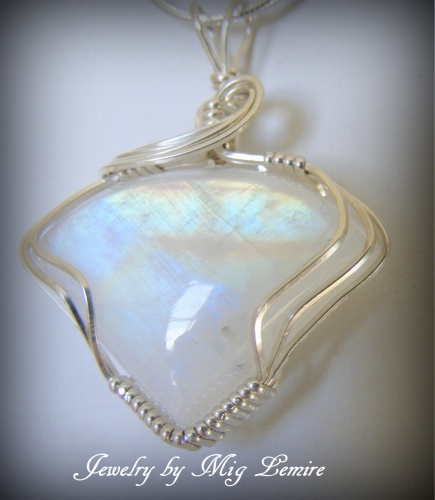 This gorgeous Rainbow Moonstone pendant is enhanced with argentium silver framework. 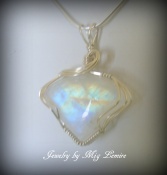 The stones just reflects amazing colors and has a great shape that you don't see too often. Piece measures 1 1/2" from top of bail to bottom of pendant and 1 1/4" wide. Comes with a sterling silver snake chain.